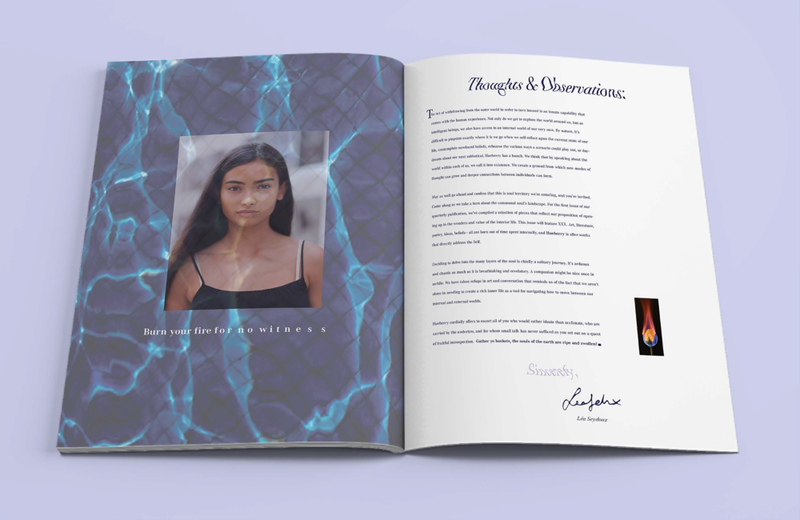 hueberry magazine is an observation of fruitful introspection. Intended to be esoteric, it compiles different artistic expressions that contemplate the “self,” seeking to uncover various ways we explore our inner landscapes and what that looks like once it is externalized. 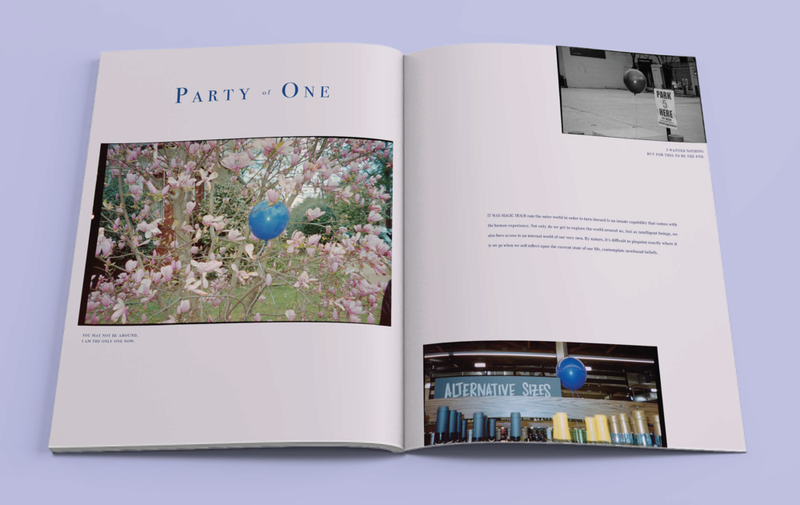 The magazine uses color theory to further depict the concept of introspection, designed primarily in blue violet, violet, and red violet.